Are you ready for the experience of a lifetime? Take the checkered flag at NASCAR's famous 2.5 mile Pocono Raceway and turn that dream into a reality. Stock Car Race Experience makes you feel a pro, as we suit you up and strap you into a 600HP Sprint Cup style stock cars. The stock car experiences range from a 3-lap Ride to an 80-Mile Drive. All of their experiences are jaw dropping, with the more miles you spend behind the wheel making you more comfortable to reach maximum speed. Experiences start with a three lap ride in the passenger seat ranging from $139 - $149 to an emersion where you are taught how to handle the car and drive yourself for $349 - $399 depending upon midweek or weekend appointments. Now is the time to release your inner professional racer dreams. 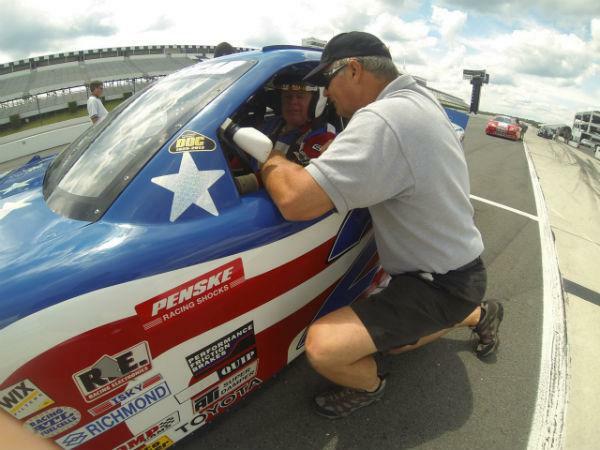 Stock Car Race Experience operates at Pocono Raceway in Long Pond, PA - known as the Tricky Triangle. Half and full day courses are offered. They also offer an exotic car option where you can take a Ferrari 360 Spider or Lamborghini up to speed. Contact Stock Car Race Experience for information and reservations 877-786-2522.